A new product in the RS lineup is Skoda Scala hatch. So said Czech marketing director Alain Favey. 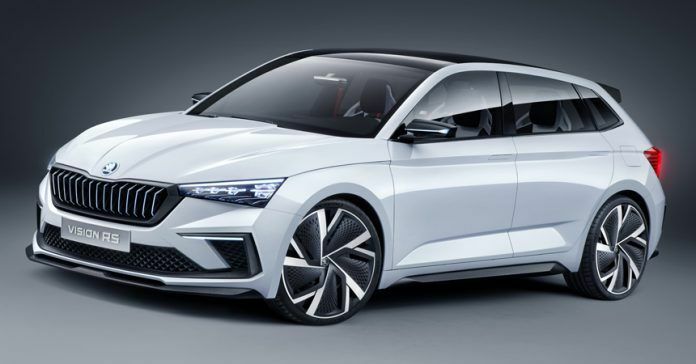 The car market will get this car as an opponent for Renault Megane RS and Ford Focus RT. Most likely, the new car will have a 1.5-liter turbocharged engine with 150 horsepower, along with a 102-horsepower electric motor. In total, the power of the system will reach 245 'horses.' The first 100 kilometers per hour the car is gaining in 7.1 seconds. There is another rumor regarding the engine - it could be a 2.0-liter 4-cylinder power unit with 200 horsepower taken from a Volkswagen Polo GTI.